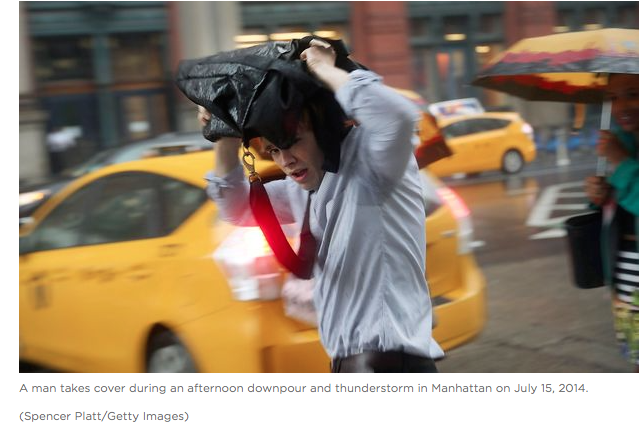 Scientists predict by 2050 that New York City will see an increase in average precipitation by 5 or 10 percent. (Currently, there is an average of about 46 inches a year.) But perhaps more worrying is the anticipated increase in the more than two-inch rain storms that occur in 48 hours. Those heavy rain storms, which happen about three times a year now, could hit the New York area four or five times a year. Strange Weather Exhibition at the Science Gallery, Dublin.